Buying local may not always be a good idea, at least not when it comes to dairy supply chain operations. According to a study recently published in the Environmental Science and Technology journal, buying local can have negative effects on fluid milk supply chain operations. 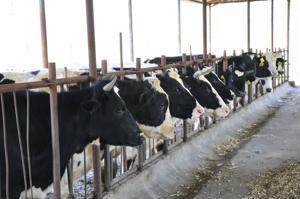 The research, conducted by researchers from Penn State and Cornell University, experimented with models of five dairy supply chains in the Northeast region of the United States. Observations and evaluations were made to see how the localization of fluid milk product supply chains would impact economic and employment activity, as well as costs, travel distance and gas emissions. "When considered as a system based on a limited resource like farm milk that can be allocated to the manufacture of different dairy products, we find that localizing food systems can have unexpected impacts," clinical associate professor Chuck Nicholson told Penn State News. "The 'global' effects of scaled-up 'localization' can be counterintuitive." Nicholson also noted that reconfiguring to produce locally may benefit certain food systems; however, it is highly recommended for each business to carefully assess the potential social, environmental and economic effects. The study revealed that, although localizing milk supply chains would likely have a positive effect on employment and economic activity, the changes would not be significant. In the Penn State News article, the professors reported an estimated four new jobs and an additional $1 million would be generated each month. The research findings indicated that if northeastern states were to produce the milk in the same state in which it is consumed, it would not only raise particulate matter and greenhouse gas emissions, but it could also increase supply chain costs by 1 to 2 percent. The reason for this, the study suggested, is that locally producing, processing and distributing the fluid milk products could increase travel distance by as much as 15 percent. These effects would not just impact the Northeast either. The study also found dairy product reconfiguration would initiate changes in national supply chains, since the allocation of milk would increase the average distance traveled by similar products from the southeastern U.S. In the study report, the researchers explained that it would be beneficial for companies to take a systems-oriented approach to food system localization. They also added that the definition of localization used could influence the outcomes of reconfiguration.